In a report tabled today (pdf), the House of Representatives’ Health and Ageing committee has recommended that the House pass the tobacco plain packaging legislation. While the Committee recognises that there are … complex legal issues relating intellectual property and trade marks, it considers these issues to be beyond the purview of a Committee formed to consider matters directly related to health and/or ageing. Therefore the Committee has decided to confine its comments to evidence relating to health implications of the legislation. …. Giving the 2011 Copyright Update at the RACV Club for IPSANZ on Wednesday 24 August at 1.00pm. Lunch starts from 12.15. Apparently the venue has moved to the 17th floor. $55 for IPSANZ members, $70 for non-members. If you haven’t registered, you will need to contact ipsanz@internex.net.au. If not, you’re too sophisticated. 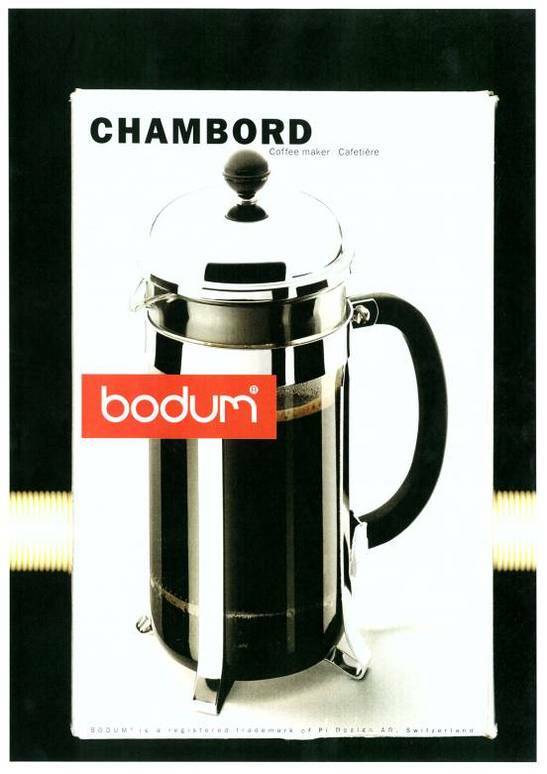 The Full Court (Greenwood and Tracey JJ, Buchanan J dissenting) has upheld Bodum’s appeal from Middleton J’s finding that the Euroline product was not likely to misrepresent an association with Bodum or its Chambord coffee plunger. Now, due to my involvement in the other case (which was not appealed), I cannot say much about this. I will draw your attention to Greenwood J’s finding that Bodum did in fact have a reputation (but not a monopoly see ) in the features of the coffee plunger alone, divorced from its branding insignia. 192 The advertising material is vast. It has endured over a long period. It is reinforced by substantial sales of the product. The reputation for the product by reason of its aesthetic features reflected in the pleaded elements of the shape of the product, is very significant. The presence of the bodum® trade mark operates to reinforce the association in the mind of consumers or potential purchasers between the distinctive product and its maker which is established by the reputation subsisting in the features of the product itself. 194 Two examples (among many) speak loudly to the independent or secondary reputation in the features of the product at approximately each end of the chronological spectrum. The first is the feature article as early as 17 June 1986 addressing the coffee-drinking behaviours and coffee preferences of consumers, in the Good Living section of The Sydney Morning Herald which depicts as the signature image for the article a large Bodum Chambord Coffee Plunger standing next to a mound of coffee beans. Presumably, the publishers of the article in that section of the newspaper thought that consumers would immediately identify with the image. The second is the front page of the 2008 Myer Christmas Catalogue. In that catalogue Myer placed the Bodum Chambord Coffee Plunger at the apex of the Christmas tree of products presumably on the footing that consumers ready to engage in purchase transactions in the Christmas retail cycle would identify and associate with the products on the cover of the catalogue including, for present purposes, the Bodum Chambord Coffee Plunger. 195 What further evidence could be needed of a significant independent reputation in the features of the product itself connecting consumers with the maker of the product (even if the name of the maker may not readily be called to mind) although, in fact, the promotional material is, as found, vast. 196 As to the distinctiveness of those features, there is no evidence which suggests that the features of the Bodum Chambord Coffee Plunger are simply generic features. There are many different coffee makers which exhibit many different shapes. The evidence within the advertising material contains many images of different styles of coffee makers. Moreover, the primary judge found at  that although copyists had entered the market from time to time, the presence of copyists had not diluted Bodum’s reputation. Rather, it “would have had the inverse effect” having regard to the factors mentioned by the primary judge at . 197 I am satisfied that the evidence establishes a very significant secondary reputation in the features of the Bodum Chambord Coffee Plunger associated in the mind of consumers with Bodum as the manufacturer of the product and, with respect to the primary judge, that reputation is not “distinctly tied” to Bodum in the sense that in the absence of the name Bodum there cannot be a secondary reputation in the features of the product. The primary judge considered that Bodum, like Mars Australia Pty Ltd, had become “a victim of its own success” by so heavily promoting its distinctive product in conjunction with its trade mark, Bodum, that in the absence of the mark, no potential purchaser would be, or would be likely to be, misled into believing that a rival product is a Bodum Chambord Coffee Plunger. Care should be taken in applying this notion as a general principle. As a conclusion on the facts in the case of the Maltesers get-up, the highly stylized and dominant word Maltesers as the principal component of the get-up emblazoned on the box of the confectionary product meant that purchasers of similar confectionary would not think a rival boxed product not exhibiting the highly stylized Maltesers mark was a box of Maltesers. However, it should be remembered that the product in question was a boxed product in which the confectionary could not be examined by a potential buyer independently of its packaging. 244 It seems to me that the adoption on the box of a non-distinctive and descriptive trade mark Euroline for a rival product which for all practical purposes embodies all of the features (that is, copies those features) of the product exhibiting the pronounced and substantial reputation at July 2004 of the Bodum Chambord Coffee Plunger, is not sufficient to distinguish the rival product from the distinctive product sought to be copied. This is especially so as the rival product and the Bodum product are regularly displayed outside the packaging for each product notwithstanding that it may be that the products are displayed in stand-alone fashion, proximately located to the packaging and in some locations in front of the boxes. It would have been a simple matter for DKSH to mark its name prominently on the box or mark its trade mark and product name prominently on the rival product itself (or at least as prominently as Bodum marks its product) or both. A plainly distinctive differentiating trade mark might also have been selected for use on the box and on the product. 245 An inference is open that at July 2004 DKSH’s get-up of its product was such as to lead consumers to believe, or be likely to lead consumers to believe, that when they engaged with the rival product they were actually engaging with Bodum’s product or a product in the Bodum line of products even if they saw the words Euroline on the box when engaging in the sequence of steps leading up to selection and purchase of a coffee plunger. If they did not see the box and were drawn to the rival coffee plunger by reason of the distinctive features of the Bodum product, a consumer might well pick up the rival product and handle and examine it, and if a potential purchaser did so, there is no indication from DKSH on the product itself that the consumer was not looking at a Bodum product or a product in the Bodum line of products, but looking at a DKSH product. 246 The references in the primary judgment to the association between the distinctive features of the Bodum product and the use of Bodum’s name and logo inverts the real question to be addressed. A consumer looking specifically for the Bodum Chambord Coffee Plunger by reference to the name Bodum could pick up the Bodum product as displayed out of its box, hold it (as put in cross-examination – even at arms-length in the right hand) and see the Bodum name and trade mark. That might well be so for a consumer looking for the product specifically by name because they know the product by name. They may be replacing a Bodum product they already own; or they may have seen the product closely in particular settings at a restaurant, in a home or in many other settings which attracted their attention to its features and the Bodum name as well as the features. The real question is what impression is made on the mind of the reasonable or ordinary member of the class of consumers seeking to buy a coffee plunger (rather than sophisticated members of the class, which applies a more stringent and incorrect test) drawn to the rival product by reason of the copying of the distinctive features of the Bodum product and conscious of the reputation associating the product distinctly with Bodum (although the name might not be immediately recalled), when such a consumer examines the rival product without any differentiating name, title or logo on the product at all to signify that it is not actually a Bodum product. As a matter of impression, it seems to me entirely rational to conclude that such a member of the class is very likely to think that the largely indistinguishable product embodying those features (as DKSH chose to do) is the Bodum product, a version of the Bodum product or in some way sponsored or approved by Bodum. The only step taken by DKSH to differentiate its product is the placing of the Euroline name on the box for the product. 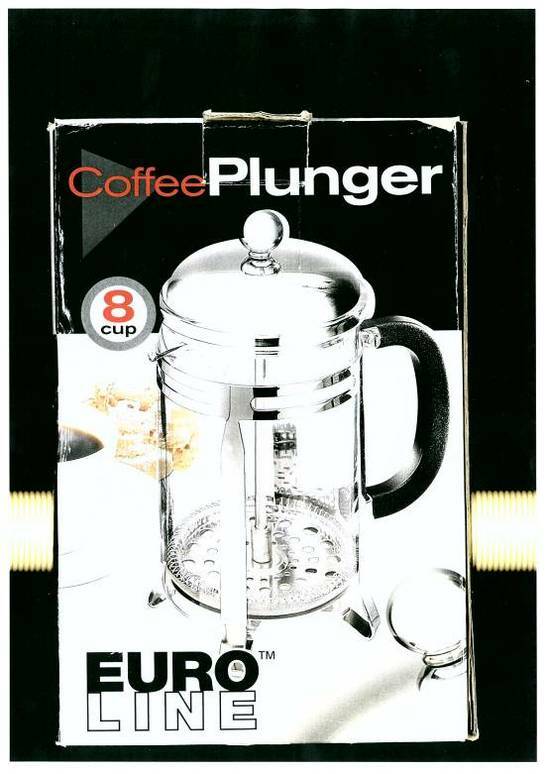 The instruction sheet as to safe use of the product does not reasonably tell a potential purchaser that “this is not a Bodum coffee plunger”. Note in particular that the branded leaflet inside the product itself was inadequate. Note also there was not a marketing expert or a parade of consumers anywhere to be seen. Parkdale v Puxu was distinguished on its facts at 254 – 257. Philips v Remington and Dr Martens were distinguished as the products themselves were labelled in the appropriate places (and the rival traders’ marks were well-known). 262 It seems to me to be an error of principle to simply put cases such as Red Bull and Apand to one side as purely “impulse purchase” cases in the circumstances of this case. Those cases at least raise for proper analogical consideration the question of whether the use of a label on the rival product itself (or packaging for a product) aided, in context, in distinguishing a rival product from the product it closely resembles whether by features of shape or other distinctive get-up. In similar terms, the adoption of the trade name REALEMON on the rival get-up for the rival product in Reckitt & Colman Products Ltd v Borden Inc. (Schedule 16) was not enough to establish differentiation for the rival product from the distinctive lemon get-up of Borden’s product. Until the determination of this proceeding or further order of the Court, the respondents and each of them, by themselves, their servants or agents or otherwise, without admission of liability will not without the licence of the first applicant, import, promote, offer to supply, supply, offer for sale or sell in Australia the Galaxy Tab 10.1 device the subject of paragraph 3 of the affidavit of Reginald Leones affirmed 28 July 2011. Until the determination of this proceeding or further order of the Court, the respondents will on the provision of suitable confidentiality undertakings, provide to the solicitors for the applicants 3 samples of the version of the Galaxy Tab 10.1 device intended for launch in Australia at least 7 days prior to the date of intended distribution to sales channels for the purpose of review and analysis. the device referred to in paragraph 2 above. The Court would have required an undertaking as to damages as part of the price for awarding an interlocutory injunction pending trial if it had been pressed to decide the application. Samsung subsequently issued a press release claiming in effect that it’s all a misunderstanding and it was never going to release the US version of its Galaxy Tab 10.1. From the perspective of a US patent lawyer, Samsung’s position looks pretty weak. On the other hand, Patentology thinks Samsung hasn’t conceded much and has the upper hand. Samsung is making a special version of the Galaxy Tab for Australia? Mitre 10 has been refused an interlocutory injunction to stop “Masters” using a blue, white and grey get-up for a hardware store. Macaulay J was not persuaded there was a serious question to be tried and, even if there were, the damage to “Masters” resulting from an injunction far outweighed the damage to Mitre 10’s goodwill if no injunction were granted. His Honour itemised a number of reasons why the claim did not rise to a prima facie case. The main reason was that Mitre 10 was trying to argue that the colour scheme adopted by “Masters” would misrepresent an association with Mitre 10. The problem with that was that both rivals’ get-up included plastering their respective brand names and logos on their get-up. That created a real difficulty when, apparently, other hardware stores unrelated to Mitre 10 used a similar get-up. At least at the interlocutory stage, Mitre 10’s evidence apparently showed that less than half its stores had adopted the get-up in which reputation was now claimed. You can get a bit of an idea of the competing get-ups from Mitre 10’s homepage and Masters’ homepage (or even better (or worse) try here). You won’t have heard of Masters yet: it isn’t scheduled to start trading until September or October. Apparently, it is a joint venture between Woolworths and Lowe’s from the USA and, of course, Woolworths’ main competitor just happens to own Bunnings. Back in the “good old” days, we used to bring actions for passing off in the State Supreme Courts. Then, we worked out that by bringing a counterpart claim for misleading or deceptive conduct, we could go play in the Federal Court. Recently, the Federal Court has not been so kind to straight get-up claims (Bodum and Maltesers and Nutrientwater). This resort to the old State court has not led to any different outcome at this stage. Of course, there have been cases where the interlocutory injunction was lost but the plaintiff ultimately succeeded at final trial.